The fundamental concept of ecology is that living organisms interact with and are dependent on their environment and each other. These interactions results in a flow of energy and a cycling of materials that are essential for life. Competition can occur between members of different species for an ecological niche. Competition can also occur within species. Competition may be for abiotic resources, such as space, water, air, and shelter, and for biotic resources such as food and mates. Students should be familiar with the concept of food chains and webs. How do we distinguish biotic and abiotic components of an ecological system? How can we describe the distinct plant and animal life of major world’s biomes? How do we describe various ecological interactions? How do we illustrate energy flow in the ecosystem? 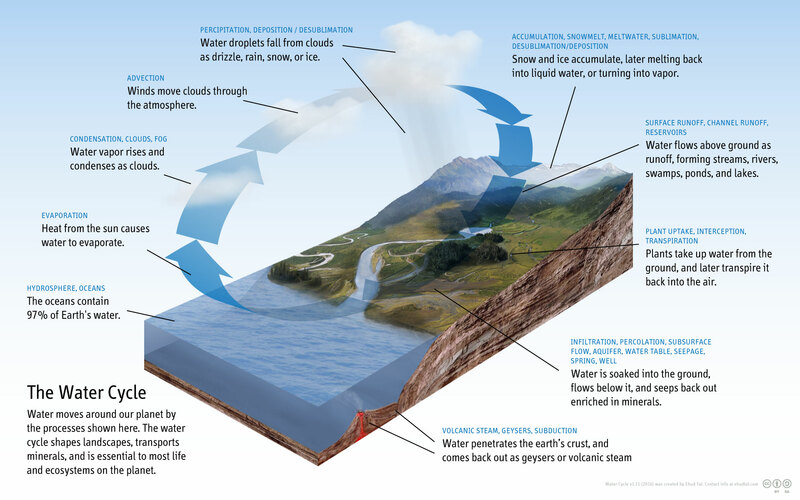 How do we illustrate and describe processes involved in biogeochemical cycles? How do we describe the factors that affect carrying capacity of an ecosystem? How do we compare and contrast primary from secondary succession?